When done responsibly, gambling can be a fun and worthwhile pastime. However, many peo-ple gamble without understanding how gambling really works. This is where problems can oc-cur. Without understanding what you are betting on, it’s no wonder that people run into is-sues later down the line. Many novice gamblers try to chase their losses; however, instead of winning back their money they end up in thousands of pounds of debt. Thankfully, learning how gambling actually works can minimise your losses and allow you to enjoy the game freely. In this article, we explore just that. Gambling is best described as partaking in a game in which you risk money in the hope of winning more. Of course, gambling can take place without out real money; instead, players risk something of monetary value in order to win a prize. Typically, the games people gamble on are luck-based. This means that you may finish the game with more money than you started with, or you may leave with less – it’s all down to chance. Today, there are many forms of gambling. 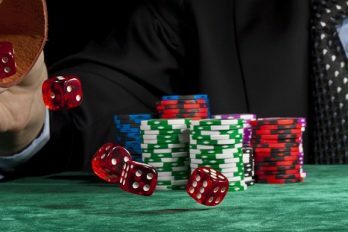 Some of the most popular methods include casinos, lotteries, card games, and sports betting. 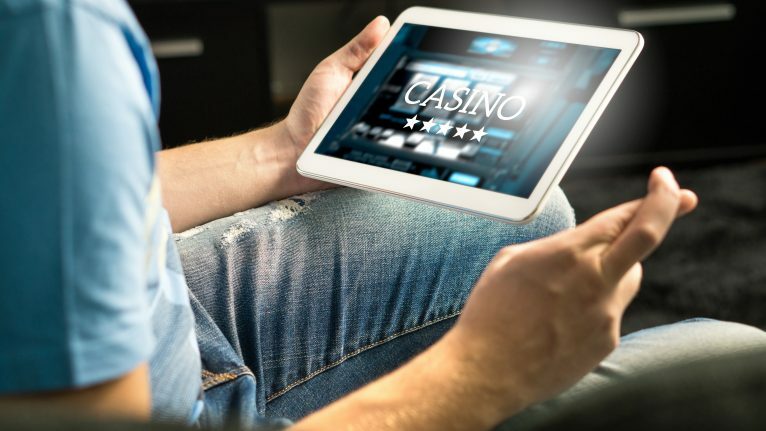 With online casinos added to the mix, it’s now eas-ier than ever to try your luck with gambling. Allowing you to bet from the comfort of your sofa, online betting sites are fast becoming one of the most popular ways to pass the time. Many of the games available can be played on a range of devices, this allows players to gam-ble from a laptop or computer when at home and from a smartphone or tablet when on the go! While gambling is not a bad thing, it can quickly become addictive when done irresponsi-bly. Thankfully, learning exactly how gambling works will allow you to make safer choices and not waste your hard earned cash! Whether you’re gambling via an online casino or you prefer to place a bet on a sports game, it’s important to understand how betting odds work. Described simply, betting odds tell you how likely an event is to happen and how much money you will win if luck is on your side. To explain betting odds in more detail, we will use sports betting as an example. During the Grand National, bookmakers will offer certain odds for a particular horse to win. If the odds are 5/2, this means that for every 2 units you bet, you will receive 5 back. So if you bet £200 on that horse, you will receive £500 profit plus your initial stake of £200 – providing that the horse wins, of course. When fractional odds are used, the potential winnings can be worked out with a simple calculation. To explain the sum, we will replace the numbers with letters; for example, 5/2 will be A/B. For every value of B that you bet, you will take home A in prof-it, plus B (your initial stake). Below, we explore some more examples. 5/2 can be worked out as: for every £2 you bet, you will win £5 in profit plus your £2 stake. 6/3 can be worked out as: for every £3 you bet, you will win £6 in profit plus your £3 stake. 9/2 can be worked out as: for every £2 you bet, you will win £9 in profit plus your £2 stake. 7/1 can be worked out as: for every £1 you bet, you will win £7 in profit plus your £1 stake. 1/1 can be worked out as: for every £1 you bet, you will win £1 in profit plus your £1 stake. In the UK, most bookmakers use fractional odds. This means that the odds will be represented by two numbers separated by a slash; for instance 5/2. We already know that betting two units will give us the potential to win 5 units back, but how can you work out the probability of that happening? When fractional odds are used, calculating the probability is simple. To explain the calculation, we will replace the fractional odds with letters. For example, 5/2 will be A/B. To work out the probability, the calculation is Probability (%) = B / (A+B). This sim-ple sum can be used to calculate the probability of any fractional odds. Below, we explore some more examples. 6/3 can be worked out as 3 / (6+3) = 0.33. This means that there is a 33% chance that the event will occur. 9/2 can be worked out as 2 / (9+2) = 0.18. This means that there is an 18% chance that the event will occur. 7/1 can be worked out as 1 / (7+1) = 0.12. This means that there is a 12& chance that the event will occur. 1/1 can be worked out as 1 / (1+1) = 0.50. This means that there is a 50% chance that the event will occur. 8/5 can be worked out as 5 / (8+5) = 0.38. This means that there is a 38% chance that the event will occur. 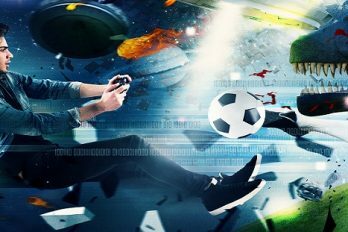 Whether you’re using an online casino or you’re placing a sports bet on an upcoming football match, gambling will be much safer now you understand how it works. Understanding how to calculate probability and winning potential will allow you to make an informed decision when placing your bet. Like always, it’s important to consider your financial situation before gam-bling online or physically. If you’ve got some disposable income, though, gambling can be an enjoyable pastime. 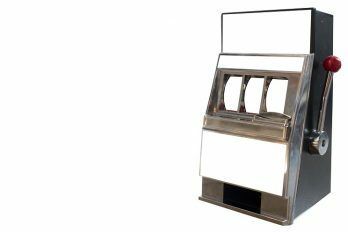 What Will Slot Machines Look Like in 50 Years?